I realize I will probably get criticized for this post, because it's about money, and everyone has his or her own thoughts about different ways of budgeting and/or spending. But several people have asked about how my family is budgeting, so I decided to post the numbers. I chose a month (August) that was fairly average. I am not sharing this information to ask for advice. I am very happy with how we are doing this right now, and we've managed to pay off a significant amount of debt this way. 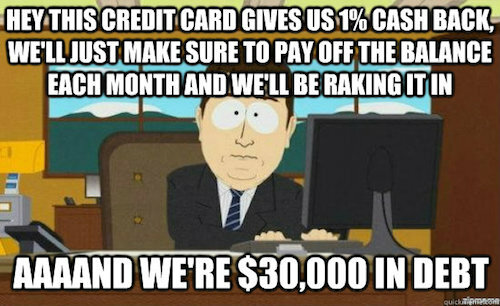 Right now, we still have about 15 months to pay off our final credit card with 0% interest, so we don't have to rush things. I'm guessing it'll be paid off in 3-4 months (maybe 5, with Christmas coming up). A few things have changed since August, so that's why the budget looks a little off (we paid off the Barclaycard, and our last furnace loan payment was in August as well. So, we used some of that money to add a "family fun" category to the budget (we didn't have this in August). 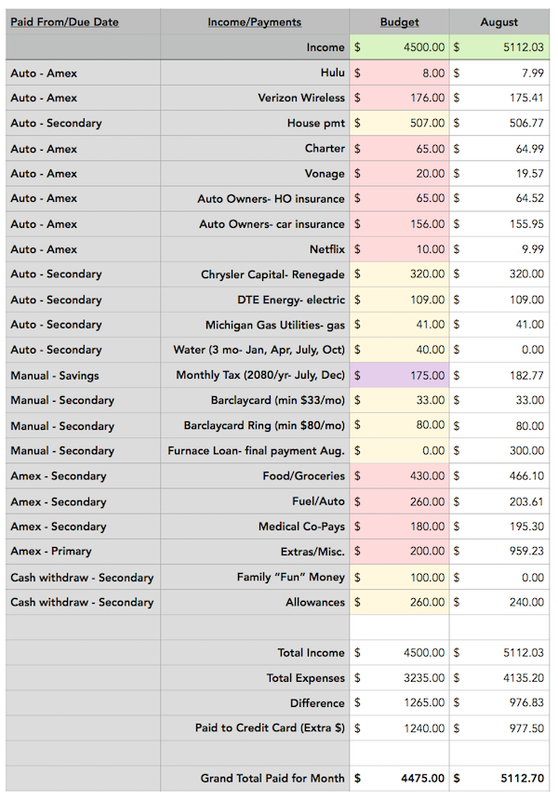 Each month, I just change the budget column to reflect our CURRENT month's bills/budget. Also, the income is net income, not gross. Our budgeted income is $4500--if we make that much, then we could theoretically pay $1240 onto the credit debt. However, our "extras" category ends up being much more than we accounted for. It's not due to unnecessary spending habits, but things like items for the house (we had to repair a shower leak and had to buy some stuff from Lowe's), renewing our plates at the Secretary of State, the accidental extra car payment I made (haha! I accidentally paid that twice in August when I set up the auto pay), etc. It's for things that we can't really plan on. In a perfect budget, the "extras" would be $0; but lots of unplanned for things have come up, so we just stay as careful as we can for that. We don't buy anything extra that isn't necessary. In the first column, I wrote whether the payment is automatic or if I have to pay it manually. I also wrote how each item is paid--American Express card; our secondary checking account (we have two checking accounts); or our savings account. Each account has a different use. Checking account 1: All of our deposits during the month--we leave this in here until the end of the month. Each month, we start with a balance of $25. Checking account 2 (the yellow cells): The money used for our entire "bare bones" budget--we start with $3300, and at the end, the amount left should be close to $0. Savings account 1 (the purple cell): An escrow account for our taxes. I pay $175 into this account on the first of each month, so that we have the money to pay our taxes twice a year. Savings account 2: A "just in case" account. If we should need extra money for some reason, we have a small cushion of $1000. I realize that it's not the recommended 3-6 months worth of savings, but we will work on that once we pay off this final credit card. American Express (Delta) (the red cells): I will explain more of this in a minute, but we use this to pay for everything that we can in order to earn the rewards (SkyMiles, in this case). This balance starts at $0 each month, because we pay it off in full with the budgeted money in our secondary checking account. On the first of the month we start with $3300 in our secondary checking account, which is used for our entire "bare bones" budget. I withdraw the money from this account for our allowances and "family fun" (used to do things as a family--the movies, dinner out, etc). I also transfer the $175 to our savings account for escrow (again, it comes from the secondary account). I also pay our bills that have to be paid manually. Throughout the month, we use the Delta AmEx card for our groceries, gas, medical expenses, extras, and as many bills as we can (some companies don't allow credit card payments, or don't accept AmEx). This total on the AmEx, if all goes according to budget, is $1570. This will be paid from the secondary checking at the end of the month, bringing the credit card balance to $0. The remaining amount of the $3300 in our secondary checking account is used to pay for the bills that aren't able to be paid with the AmEx. At the end of the month, having used our budget to pay off the AmEx as well as the other bills, we should have close to $0 in this account (I added a small cushion, in case a bill is slightly more than expected). It may seem unconventional to use a credit card to pay off credit card debt; but because we pay it off every month with our budgeted money, we are able to earn the SkyMiles. Thankfully, I have always had a great credit score (even with our debt, I've never made a late payment in my life), so that has been helpful. We were able to open a 0% interest Barclaycard and transfer our debt to that card with NO fee. I have to say, I love love love the Delta AmEx! I have literally never paid for one of my trips to Portland (and I've been there five times since 2015). That's a $400+ ticket, and it only costs me $11 (I'm not sure why the $11, but I think it's some sort of tax or something). Jerry's gone to San Diego, New York, and Portland, all of which were paid for with SkyMiles. We also get to check a bag for free, which is nice, considering it's usually $25 each way. I certainly don't think this method is right for everyone--if the card isn't paid in full each month, it will only rack up more and more debt. For us, as long as we stay within budget, it's working great. We haven't had any problems with this method so far. And if SkyMiles aren't your thing, there are tons of other cards out there with various rewards. Some even do cash rewards. I would just make sure that you can be disciplined enough to pay it in full every month. Otherwise, I would just stick to paying for everything with a debit card or cash. All of this said, things may not go according to the budget. As you can see for August, our "extras" were a lot more than we budgeted for. Ideally, we wouldn't have to use anything over the $3300 that we budget for each month. However, when we do, we can use the extra money in our primary checking to pay for it. We start the primary checking with $25; then all of our income is automatically deposited in that account. Once that account reaches $3300, we know that we have enough for our "bare bones" budget the following month, and anything we earn on top of that is extra money. On the last day of the month, we then use that extra money to pay onto our credit card debt (after paying off any extra stuff that was above our budget). So, ideally, we would have $1240 extra income on top of our "bare bones" amount budgeted for. In this particular example, we had a lot of extra things to pay for, so we had $986.73 (+ the original $25 that we started with) in the primary checking after everything was paid for. So, we took $977.50 of that money, and paid it onto our credit debt (I think it was such an odd amount because I wanted to get the credit debt to a nice even dollar amount). After we pay that to our debt, we start the month all over again. I transfer the $3300 to our secondary checking bare bones budget. The credit card starts at $0 for the month. And there we go! My favorite part about this budget is that we are one month AHEAD of our bills. All of the money we earn this month gets set aside for next month; that way, we start each month with the amount we need to pay all of our bills. It's so nice not to have to worry about whether we'll have the money. If you already have at least one month’s expenses saved, you are already a step ahead of the rest. Simply use those funds to pay the expenses you’ve outlined during the next month’s budget, and sock this month’s income away into savings for use during the following month." Wow thank you for taking the time for such a thourogh and clear explanation. That's a great way to do it. Your discipline in sticking to a budget is inspiring. Well done! How in the world do you feed a family of 4 on $430?! We are a family of 5 with younger kids (9, 7, and 3) and we struggle to stay under the $900 grocery budget we set! I feel like our only real grocery splurge is organic milk and fresh fruit. But basically, I try to use as few ingredients as possible. We don't eat much meat (probably only 2-3 times per week) and when we do, it's not very much. For example, a stir-fry. Instead of buying each individual vegetable, plus a few chicken breasts, I'll buy a large bag of frozen vegetables and one large chicken breast (about half a pound). I always have the ingredients on hand to make stir-fry sauce, and rice is crazy cheap! We have breakfast for dinner at least once a week, too--if I have bread to use up, I'll make french toast. Or we might have breakfast burritos (eggs, frozen green pepper and onion blend, shredded potatoes, cheese, and a small amount of diced ham or sausage). Or sometimes, if we have a very busy evening (like when we had baseball and cross country on the same night), we'll just have cereal for dinner! Planning everything out helps more than anything--I used to wander the grocery store putting anything that I wanted into the cart, or things that were on sale, or whatever. Now, I check the sales online and the digital coupons, and plan out the whole week's worth of meals. My last grocery trip was $210, and then after my digital coupons were applied, it went down to $130! That's awesome about digital coupons! Maybe I need to switch stores and plan more carefully. I do plan meals ahead, but not based on sales. We def spend a good bit on meat but I try to keep it reasonable. I can usually feed us all with 2 chicken breasts for stir-fry or a chicken/pasta dish. I think our biggest costs are fresh fruit/veggies, milk, and snack items for school lunches. Thanks for sharing all your tips and feedback! Thank you so much for your honesty in posting this. I have just started working on a budget (eeks! Yes, I know!!) and my goal is to get to the zero-sum as shown here. I think you're super brave for just putting it all out there! Thank you for this!! I need to sit down and re-read it tonight at home tonight and maybe start brainstorming my own budget ideas. It's just so hard to know where to start. It can be overwhelming at times. I really appreciate the effort you put into this post for us!! Great post! It's so impressive to see how you're able to stick to a budget. I'm great at making plans and then not following through! This would be interesting for us, since my husband freelances and our income is quite variable, as well--good food for thought! that's Awesome. I do something similar already, but I may have to look closer at this zero sum option. It's like weightloss - you have to do what works for you! Thanks for putting this out there even though criticism might come. The chance of helping someone far outweighs any possible criticism. Do you have to pay a membership fee for your credit card or is there a way they will waive it for you every year? Yes! I had completely forgotten about it, which is why I didn't mention it. I believe that the first year, the fee is waived. And then it's $95 per year afterward. I haven't looked into getting the fee waived, but it wouldn't hurt to ask--I'm going to try that! Thanks for sharing Katie! 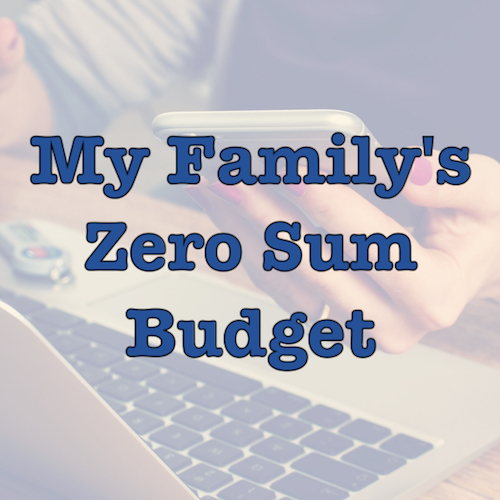 I think your budget looks fantastic and if it’s working for your family, that’s all that matters! It’s amazing how much debt you’ve already paid off. For those interested in this budgeting style, You Need a Budget (YNAB) also advocates a zero sum budget approach, and they have a lot of great free articles and videos on their website about the method. Of course they want you to buy and use their product, but you can implement the same style in an Excel sheet like Katie does. Really great post! Thank you for being willing to show us real numbers. I hope you don't get many negative comments. It's super helpful to see. I am amazed that your house payment is so low. I can't even imagine. Mine is 3 times yours for a non remodeled house built in 1959. Amazed at how low your property taxes and utilities are. In NH I'm paying >$10,000 year in property taxes for a 3 bedroom executive ranch on 12 acres. My electric bill NEVER goes below $250 a month, and I'm very careful. Jealous! More people should share their finances, this is great planning and follow thru. Being debt free takes so much stress away. Is there somewhere in the budget to build up savings too?